Products – Cameras – CM-D008 – Team Research Inc. 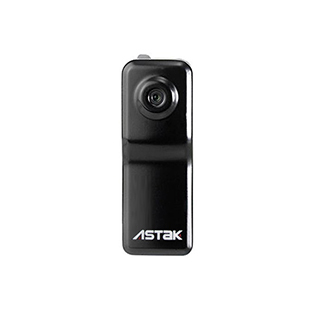 The Astak CM-D008 unique micro design enables digital video recording in situations where it may not be possible to use standard camcorders. It allows the user to capture high quality digital video and sound footage hands free. With its robust thumb sized alloy metal casing you needn’t worry about your Astak CM-D008. It features a 2 Megapixel lens and records in AVI format. The Astak CM-D008 comes with a 2GB Micro SD Card, that’s enough for 2 hours footage, and with a built in rechargeable battery life of 2-3 hours, you’ll never miss a thing. Easily connects to your computer via Micro USB, so you can upload your videos in seconds. It also charges through any USB giving complete portability. It is perfect for anyone who wants to capture great quality images whilst on the move. The Astak CM-D008 Cam captures video with a 2 mega pixel image quality, which are then stored in AVI format on the micro SD memory card. Powered by the built in li-ion rechargeable battery the The Astak CM-D008 will keep going for up to 90 minutes from a full charge and can be connected to your PC via the included USB cable to both transfer videos and re-charge the battery, or for use as a webcam. If you want to mount it, its unique bracket design supports wide angle shooting, with pan of 360º, and tilt 150º. The bracket can be nailed or screwed into place, or use the included Velcro for mounting.